Who is your pick for the top 20? Let us know @PRWeekUS. Conagra, with the help of Cone, set out to tackle child hunger in the U.S. by raising awareness. The company carried out a multiyear program called the Feeding Children Better initiative. Cone secured several vital partnerships with the nation’s leaders in the fight against childhood hunger, including the Center on Hunger and Poverty, actor Jeff Bridges’ End Hunger Network, and the Ad Council, which agreed to a three-year campaign delivering $100 million in ads. "Conagra Brands and the Conagra Brands Foundation have a longstanding commitment to address the issue of hunger in the communities where it does business," said Robert Rizzo, senior director of community investment for Conagra Brands. "Programs such as Feeding Children Better resonate with audiences because food insecurity exists in every county of the U.S."
The initiative was named PRWeek’s 2001 Campaign of the Year and Community Relations Campaign of the Year. Heart disease is the leading cause of death among women in the U.S., but few knew how deadly it was at the time The Heart Truth launched. "We wanted an evidence-based approach to forging a strong emotional connection with women to give them a visible, easy way to take action to improve their heart health," said Lenora Johnson, director, science policy, engagement, education, and communications, at the National Heart, Lung, and Blood Institute. 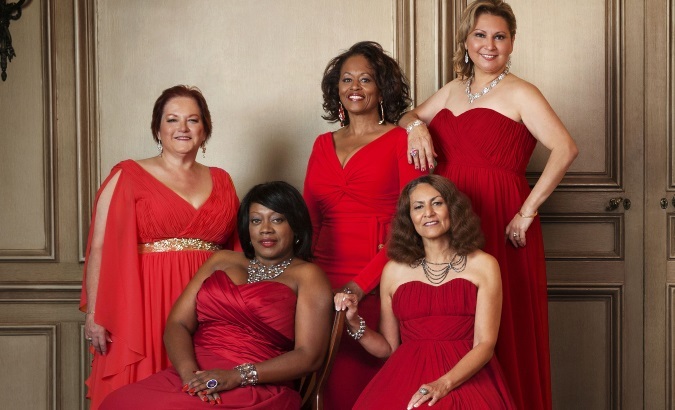 Thus, the red dress was used to symbolize heart disease and stroke isn’t only a men’s issue. After then-current first lady Laura Bush became an ambassador in 2003, the John F. Kennedy Center for the Performing Arts featured an exhibit of red dresses former first ladies have worn. In 2013, celebs such as Kelly Osbourne and Olympic gymnast Gabby Douglas took part in a red dress fashion show. 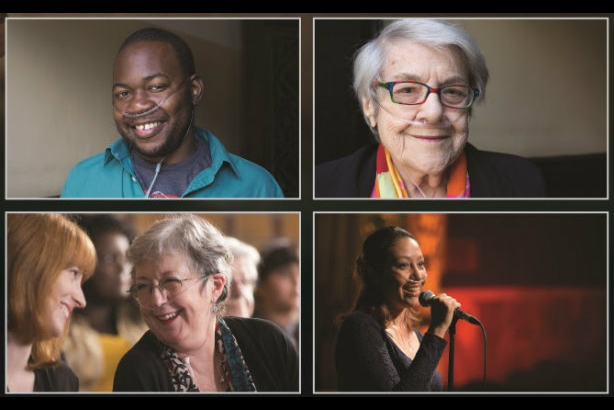 From 2002 to 2012, $800,000 in grants was awarded to support community education in partnership with the Foundation for the National Institutes of Health. In 2008, the campaign totaled more than 40 corporate partnerships valued at about $65 million. Back in 2000, TV producer Norman Lear wanted everyone to share his "unashamedly patriotic" love for the U.S.
That’s why he bought America’s "birth certificate," the Declaration of Independence, for a three-and-a-half-year road trip to rouse young people to exercise their right to vote. The traveling exhibit featured a reading of the document inside Independence Hall by Whoopi Goldberg, Benicio del Toro, and other notable actors. "We asked ourselves where young people go most frequently to consume information, entertainment, and personal connections — from college campuses to popular TV, online, radio, and print destinations — then blitzed them with authentic messaging coupled with high-profile celebrities and influencers," said Cherie Simon, then-president of Declare Yourself. "It was the early days of social media, but we knew that was key." More than 1 million young people downloaded voter registration forms from Declare Yourself’s website. Ultimately, 76% of those who registered voted in the 2004 presidential election. Sudden cardiac arrest accounts for more deaths in the U.S. every year than breast cancer, traffic accidents, and handguns, yet preventative measures — including implantable cardioverter-defibrillators (ICDs) — weren’t often covered under Medicare. Medtronic, a manufacturer of ICDs, formed a coalition; conducted a media audit to identify gaps in earned coverage; reconfigured a website as the focal point of a grassroots advocacy group; and rallied survivors into advocates for ICDs. "The initiative wed the power of emotional storytelling with objective evidence," said Jill Dosik, president, global scientific comms and message impact, GCI Health. After the campaign, Medicare raised reimbursement rates and reversed a decision restricting patient access to ICDs. The initiative was PRWeek’s 2005 Campaign of the Year. Adopting the red dress icon of The Heart Truth, Go Red For Women launched in 2004 to target women, instead of men, who have historically been the subject of heart disease and stroke campaigns. "For more than a decade, the American Heart Association’s (AHA) Go Red movement has engaged local and national media personalities in unique and meaningful ways," said Meighan Girgus, AHA’s chief mission officer. "In addition to amplifying women’s inspiring stories, they have taken on leadership roles and championed our lifesaving messages on multiple communications platforms, including their own social channels." As a result of the nonprofit’s partnership with Macy’s, it has received more than $60 million in donations from customers and associates of the retail chain. According to the AHA, more than 293 lives have been saved every day since 2004. 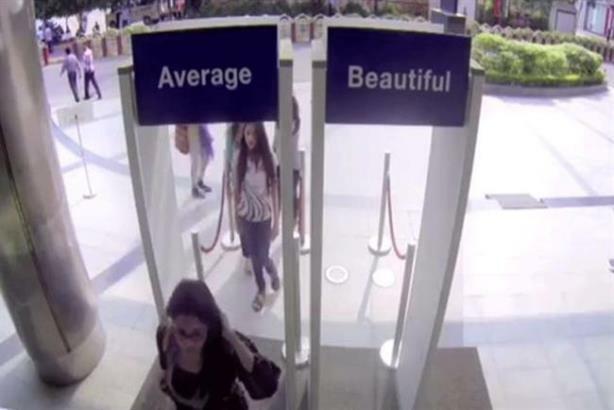 In 2004, research indicated to Dove only 2% of women consider themselves beautiful. Challenging idealized depictions of beauty, the brand responded with a campaign that used "real" women in their marketing rather than professional models. Activations included booking these women on The Oprah Winfrey Show and The Ellen DeGeneres Show. Annual sales for the brand in the first 10 years of the campaign rose from $2.5 billion to over $4 billion. It was named PRWeek’s 2006 Consumer Launch Campaign of the Year. By harnessing the then-nascent power of social media, Doritos’ plan to allow fans to produce their Super Bowl ads was a hit. Chris Kuechenmeister, SVP, North America comms at PepsiCo, said Doritos’ parent company kept things fresh by listening to consumers. "[We] evolved the program to appeal to their passions by adding prize elements such as the chance to win $1 million for ranking No. 1 on the USA Today Ad Meter." Doritos saw a 16% rise in sales for the week after the Super Bowl over the previous year. Both a winning campaign and a cool idea, Ketchum and IKEA’s Man Lives in IKEA was a hit with PRWeek judges, earning three trophies: Corporate Branding Campaign of the Year, Best Use of Online Media, and the coveted Campaign of the Year. Part of the success was relinquishing control to comedian Mark Malkoff, who posted webisodes of his adventures living inside an IKEA store in Paramus, New Jersey. "The program launched during a time when brands were only beginning the journey of having two-way conversations with consumers on social platforms," said Janice Simonsen, senior PR specialist for IKEA. "Malkoff’s love of IKEA and the fact he got to live out his dream of living in the store while engaging with IKEA fans was an authentic way to tell the brand story." Sales at the Paramus store rose 5.5% compared to January 2007. Barbie has been a staple in children’s lives since 1959. And Mattel, along with Ketchum West, harnessed Barbie’s brand power by having the public choose her 126th career. Over a million people voted for Computer Engineer Barbie in a campaign mixing the public’s love for Barbie with the movement to empower girls. In an inspired touch, the Society of Women Engineers and National Academy of Engineering helped create the doll’s look. The result was coverage on Today, CNN, The New York Times, The Wall Street Journal, and Redbook, as well as PRWeek 2011 Campaign of the Year and Product Brand Development Campaign of the Year awards. The campaign generated a 144% sales increase for Mattel’s "I Can Be" doll line. Michelle Chidoni, VP of global brand communications at Mattel, said the company knew giving consumers a voice and delivering a doll they requested would drive earned media and create a conversation around the lack of women in STEM. "The conversation was extremely positive and underscored the brand’s purpose," she noted. "When a girl plays with Barbie she imagines everything she can become. For almost 60 years, Barbie has exposed girls to roles where women are underrepresented to show them they can be anything." In 2010, American Express launched Small Business Saturday in partnership with Facebook. The company offered $25 in credit to 200,000 cardholders, while providing small businesses with the tools to promote their wares. The campaign has proven a big credit card company can do good locally. 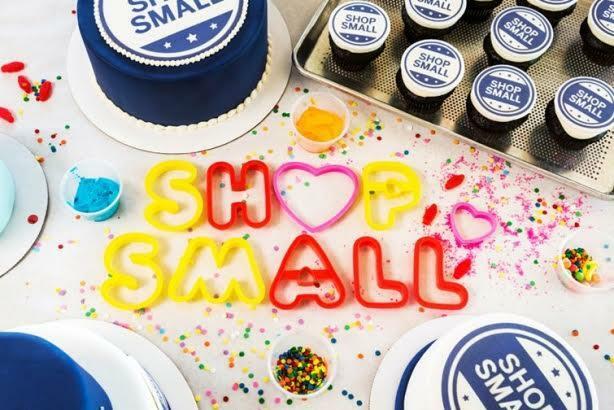 According to a 2017 survey by the National Federation of Independent Businesses and American Express, 90% of U.S. consumers said Small Business Saturday has made a positive impact on their community. 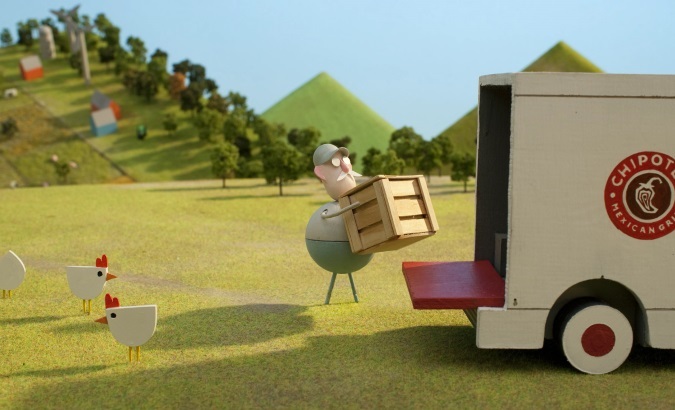 Chipotle provoked a storm of debate and received acclaim with its animated short film, Back to the Start, telling the story of a pig farmer who realizes he needs to farm using more sustainable and humane practices. The video, which was Chipotle’s first national TV ad, featured a moving Willie Nelson cover of Coldplay’s "The Scientist." "Back to the Start deviated from traditional ads," said Laurie Schalow, Chipotle’s CCO. "[It] tells a story that roots back to our commitment to serving food with integrity and conveys that message in a fun way." 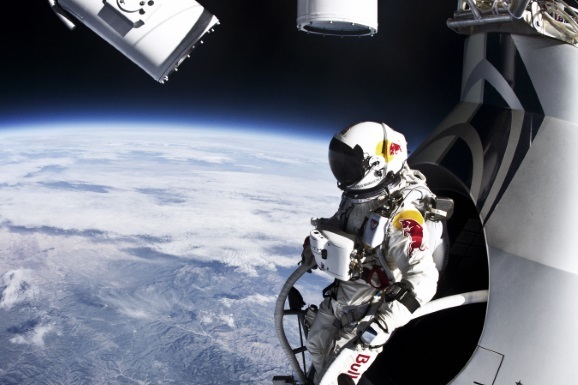 In 2012, Red Bull Stratos launched a helium balloon from which Austrian skydiver Felix Baumgartner jumped 127,852 feet. He became the first person to break the sound barrier in freefall. The event was watched live by 8.3 million people on YouTube. According to Smart Insights, Red Bull sales increased 7% in the six months after the campaign, generating $1.6 billion. P&G’s Always brand turned #LikeAGirl into a rallying cry and an insult into a confidence movement. The campaign elicited 133,000 social mentions fueled by a video from filmmaker Lauren Greenfield. It featured people of all ages interpreting the phrase "like a girl" and was viewed by over 76 million people on YouTube. The campaign team also worked with influencers and top media in tackling girls’ low confidence during puberty. 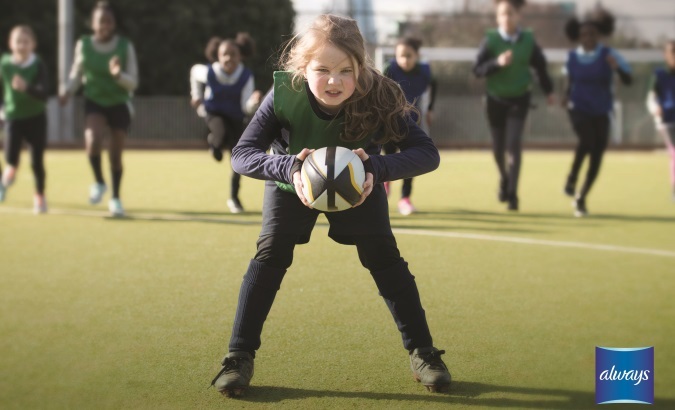 "The Always #LikeAGirl mission is such an important one, and it furthers our 35-year commitment to empowering girls at puberty and beyond," said Federica Pompei, global brand leader at Always. The United Nations acknowledged the impact the campaign had on female empowerment with an award. In 2017, a new phase launched to combat girls’ fear of failure, enlisting Black-ish actress and advocate Yara Shahidi as a brand ambassador. Although Always declined to provide sales figures, case studies by Pennsylvania State University and educational charity D&AD reported a double-digit percentage increase in sales. In 2015, #LikeAGirl was named PRWeek’s Campaign of the Year. The MilkPEP (Milk Processor Education Program) Got Milk campaign is one of marketing’s most memorable. Over the years, Weber Shandwick kept the ball rolling with Milk Life, a campaign ahead of the 2018 Olympic Winter Games. Victor Zaborsky, VP of marketing at MilkPEP, credits Weber Shandwick’s work with MilkPEP and the U.S. Olympic Committee for helping his organization do some of its best work. "From content that shows what it means for an athlete to be ‘Built, Not Born’ and reinforcing milk’s role in their training to developing a nationwide Team Milk activation partnering local milk brands with their own future U.S. Olympic hopefuls, the team has helped us deliver true results." The work resulted in one of the largest USOC athlete sponsorships in the CPG industry. Milk Life drove 4.2% more incremental milk gallon sales in 2017, and 1.9 gallons for every marketing dollar spent versus 1.7 in 2016 — an improvement of 9.3%, according to marketing analytics company ThinkVine. A bit of deception helped demonstrate the power of gratitude to boost sales. The idea was simple: Post a fake job ad with the responsibilities of motherhood, but not the job title. Then tape the job applicants discovering what they’re really signing up for. The YouTube video of reactions won 21 million-plus views. American Greetings Cardstore orders increased 20%, and net sales rose 16% year on year. The campaign made Mother’s Day more special for consumers across the U.S. and earned two PRWeek Awards in 2015 — Consumer Launch Campaign of the Year and Best Use of Broadcast/Video. "We had a video media strategy and full funnel campaign we quickly had to adjust and react to, especially PR when the hits and requests kept rolling in," said Patrice Molnar, director of corporate comms, American Greetings. "The video was created to show appreciation and gratitude for all the hardworking moms in our lives." In 2015, McDonald’s sales hit an all-time low. Through research, the chain found over 300,000 people had mentioned all-day breakfast on Twitter as far back as 2007. The brand’s PR partner, Golin, responded to 17,000 questions on Twitter about All Day Breakfast and shared a consumer press kit with GIFs. McDonald’s stock rebounded, rising 25% in one quarter, and same-store sales recorded the strongest quarter in four years. "It seemed fitting to forgo the traditional way we announce news and go directly to consumers," said Jano Cabrera, McDonald’s SVP of corporate relations. The effort was named PRWeek’s 2017 Campaign of the Year. Breathless Choir takes viewers on the emotional journey of 18 people with breathing difficulties who overcome their fears to perform The Police song "Every Breath You Take" at the Apollo Theater in New York City. The singers range from sufferers of cystic fibrosis and COPD to asthma. The campaign generated a 14% rise in revenue in Q4 — a record high for Philips portable oxygen solutions. Meredith Amoroso, a senior PR manager at Philips, explained it became more of a brand awareness concept when people — not the product — were made the "true heroes." "That’s how we operate as an organization: people first," she said. For last year’s Super Bowl, Tostitos created a Party Safe bag that doubled as a breathalyzer test and included an Uber code for a free ride home. The campaign was the result of a partnership with Mothers Against Drunk Driving, Uber, and Tennessee Titans tight end Delanie Walker. Joan Cetera, VP of comms for Frito-Lay North America, said the best campaigns are rooted in a real-world problem. 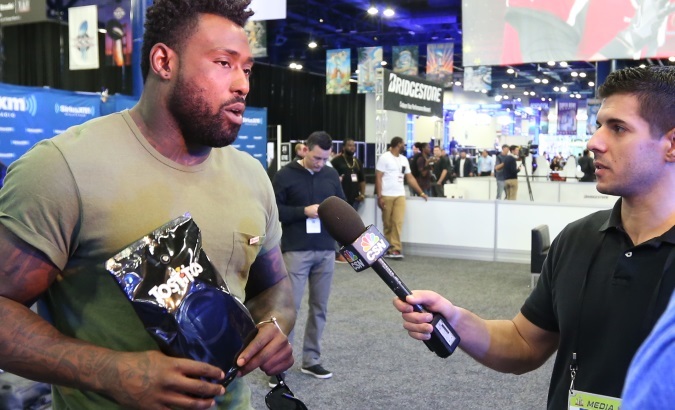 The brand tied the bag to the Super Bowl because the event has the second-highest incidence of alcohol-related fatalities, she explained. "Because Tostitos is such a big part of football gatherings, we felt we could help make a difference and remind people to think twice before driving after the Super Bowl through our alcohol-sensing bag," said Cetera. Tostitos Party Safe Bag won PRWeek’s 2018 Campaign of the Year and Best Integration Awards. Fearless Girl marked a seminal moment in gender diversity in corporate America. Women worldwide identified with the statue of a little girl defiantly facing Wall Street’s charging bull sculpture. 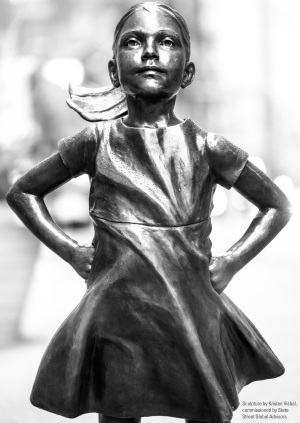 "Fearless Girl is so successful because she ignites conversations about the importance and impact of women in leadership positions," noted Stephen Tisdalle, CMO of State Street Global Advisors. "She was placed as a call to action allowing people the world over to engage, in person and digitally, spreading a positive message of greater inclusion now and in the future." But it was also an ad for the firm’s SHE exchange-traded fund, which invests in companies with women. The guerrilla art stunt drove a 450% increase in views of the page for SHE. According to The Wall Street Journal, the SHE fund’s average daily trading volume increased 384% in the days after the release of Fearless Girl, and the fund had $315 million in assets as of May 22, up 8% from March 6. At first, the Marjory Stoneman Douglas High School shooting seemed like it would follow the same futile cycle as many mass shootings: grief, confusion, and shouting matches. But the survivors didn’t disappear from the six o’clock news. Thoughts and prayers were no longer sufficient, thanks to the relentless advocacy of high school students with a message that roused the country: #NeverAgain. Using social media to stay ahead of the National Rifle Association, the student group raised $3.5 million for the March For Our Lives demonstration, which drew at least 1.2 million protesters. Leftover funds were allocated toward a nationwide tour to sustain the group’s momentum.